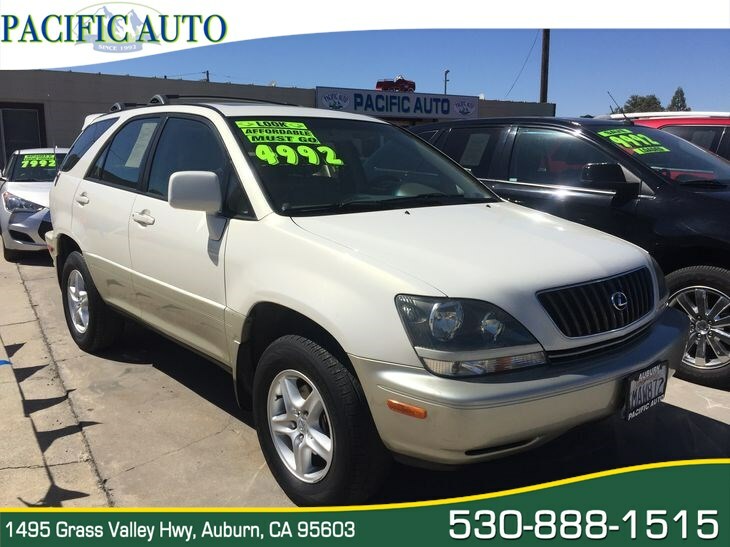 Comfortable, quiet, reliable and powerful sums up our 2000 Lexus RX 300 that does everything from camping to a gallery opening. This car-based SUV seats five without effort, and exudes performance and luxury. It's powered by a 3.0 Liter V6 paired with 4 Speed Automatic transmissio to deliver 18/22 mpg. The ride in this Front Wheel Drive SUV is smooth and powerful with excellent handling. Like all Lexus vehicles, the interior features of the RX 300 speak of luxury. Nearly anything an SUV driver might want is included as standard. Wood-grain trim, leather interior and heated seats make this one shine! We give our RX 300 high marks for its stylish exterior, class-leading safety features and ratings, comfortable interior space, good cabin tech features, and capable driving dynamics. The only thing that will make it better is you behind the wheel! Print this page and call us Now... We Know You Will Enjoy Your Test Drive Towards Ownership!